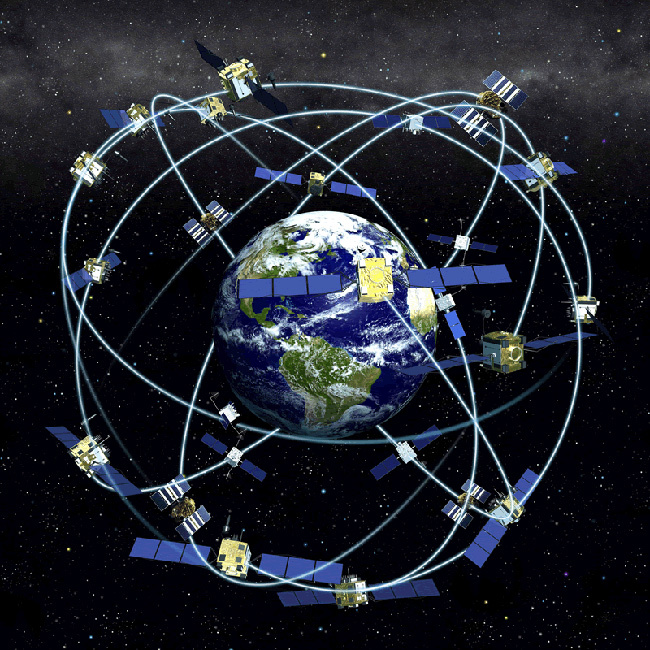 The first step in this little project is to be able to stream GPS data to an Arduino, interpret the data (which typically is in the form of NMEA sentences), and then use the latitude and longitude coordinates in further computation. To do this, I decided to use an old USB GPS unit I had lying around the house. We purchased this a few years ago to help us navigate on our road trips but the advent of smartphones with built-in GPS receivers soon relegated this little device to the “Gadget Graveyard”. To be able to read data from this device into an Arduino, the Arduino must be capable of emulating a USB Host. 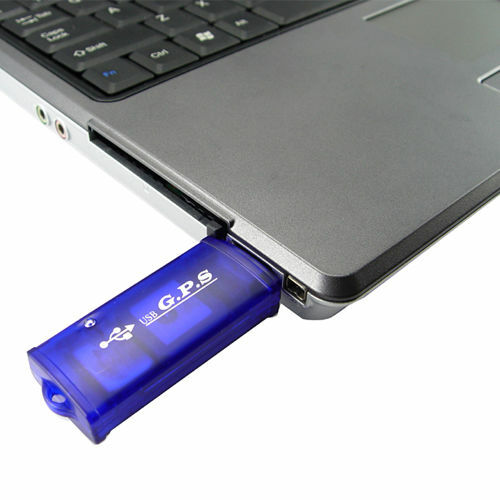 To do this, I am using a USB Host Shield that I bought from ebay for US$11. 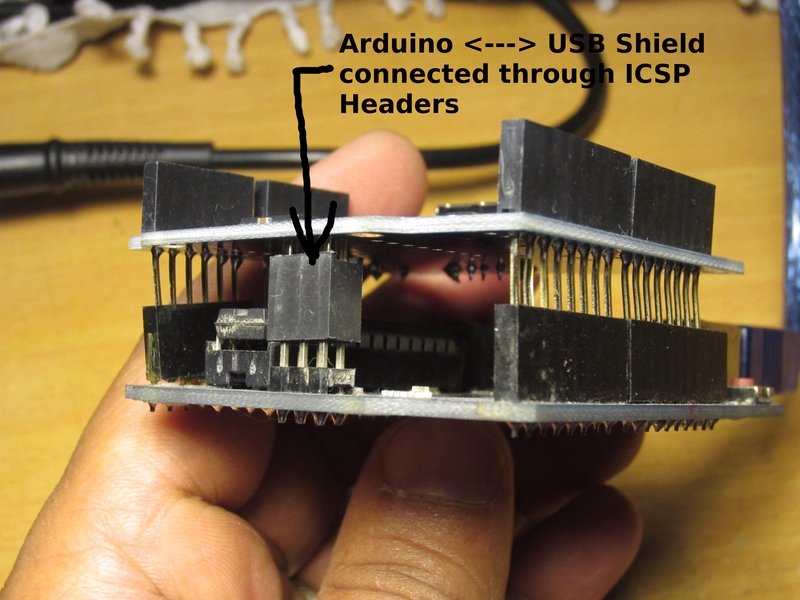 This USB shield connects to the Arduino using the ICSP headers located near the bottom of the board and talks to the Arduino using the SPI communications protocol. This means that all other pins on the Arduino (other than MISO, MOSI, and SCLK) are available for use. 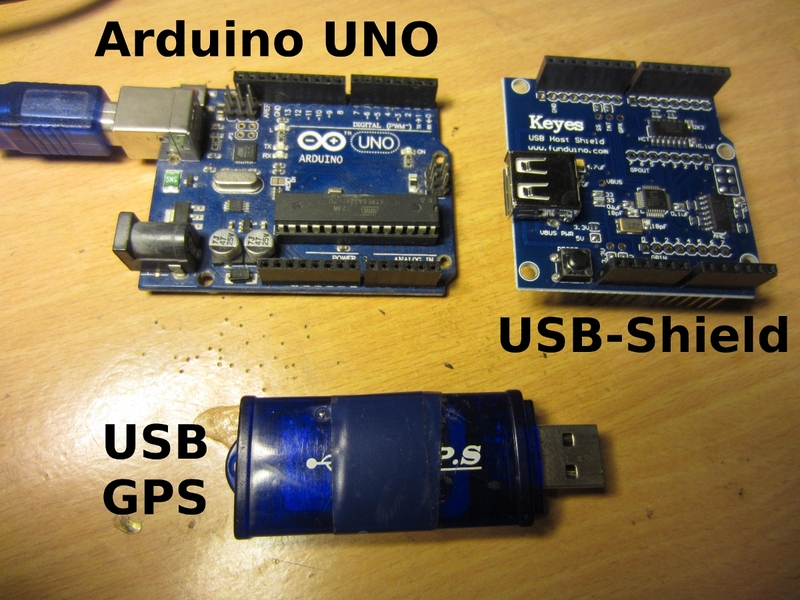 I used Oleg Mazurov’s USB Shield Arduino Library to connect to the shield and I modified the code a little to stream incoming data into Mikal Hart’s GPS Parser Library, TinyGPS. Here is the crux of the code…. Position information now streams continuously from the GPS device into the Arduino and I can use this for telemetry, Kalman filtering, cartography, estimating course and speed over ground, time & date, or any other application that uses GPS data. Here is my youtube video of the project running on my laptop. This entry was posted in Arduino and tagged ARDUINO, Arduino Navigation, Global Positioning System, GPS, NMEA, USB Shield by vu2aeo. Bookmark the permalink.